In this course students will learn to see the inner rhythms of the body in action, to create drawings that are the work of the eye and hand at the instant of seeing. My objective is to test to what extent my hands already feel what my eyes see. In this course students will learn to see the inner rhythms of the body in action, to create drawings that are the work of the eye and hand at the instant of seeing. 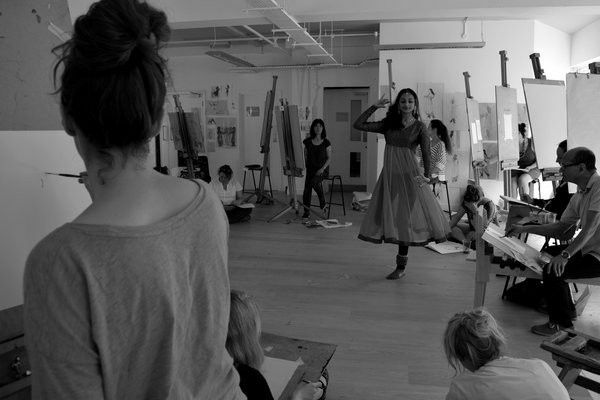 By observing and drawing the model changing from position to position, sometimes slowed down and sometimes at normal speed, utilising yoga, dance and Tai Chi, students will begin to learn to capture the essence of movement. By encouraging them to grasp the essence of form, students will increase their vocabulary of mark making and thereby come closer to finding their own personal language as artists.